Tiffin and Riggall (according to Parker and Mathey); Charles Fairfax Murray (1849-1919), London and Florence; from whom purchased through Galerie Alexandre Imbert, Rome, in 1909 by Pierpont Morgan (1837-1913), New York (no mark; see Lugt 1509); his son, J. P. Morgan, Jr. (1867-1943), New York. Watermark: gauntlet with four-petaled flower; letters R and G with heart in cartouche. 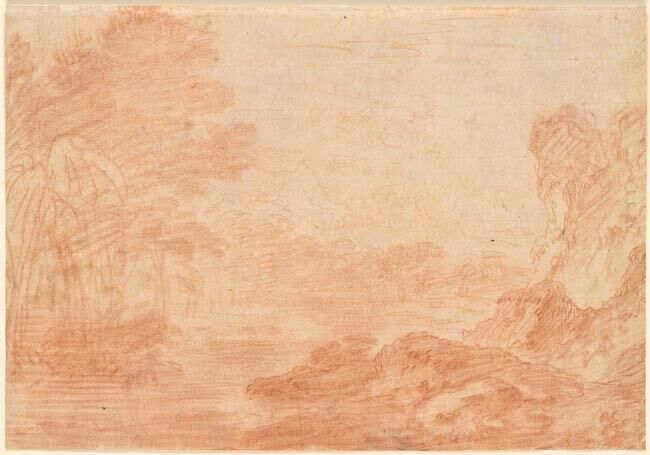 This drawing is on the verso of Watteau's "Thirteen Figures" (Acc. No. I, 278). Formerly attributed to Claude Gillot.